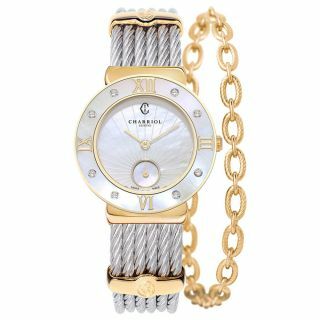 24.5mm steel yellow gold-plated case, white mother of pearl bezel, white mother of pearl Amour dial, steel cable bracelet. 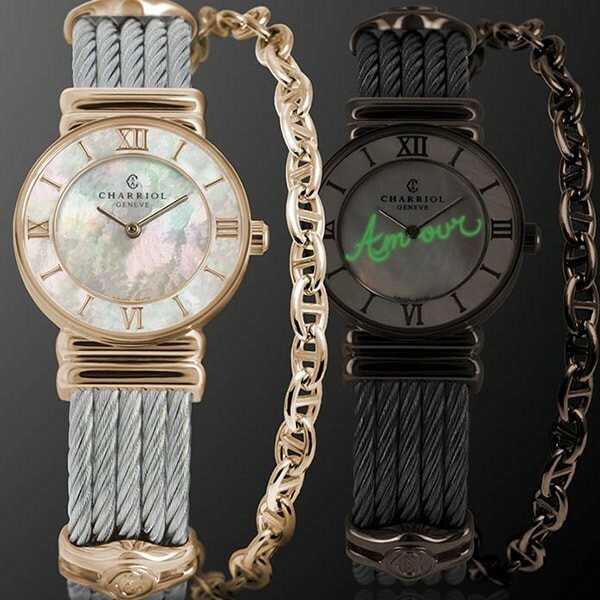 ST-TROPEZ®: our most feminine watch for women, with a secret message that lights up in the dark. 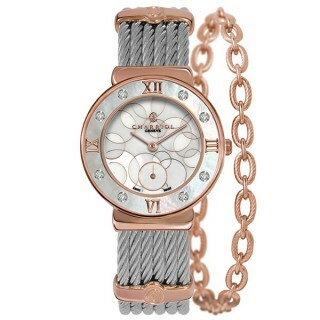 Take a trip to the French Riviera with our much-loved ST-TROPEZ® watch collection. 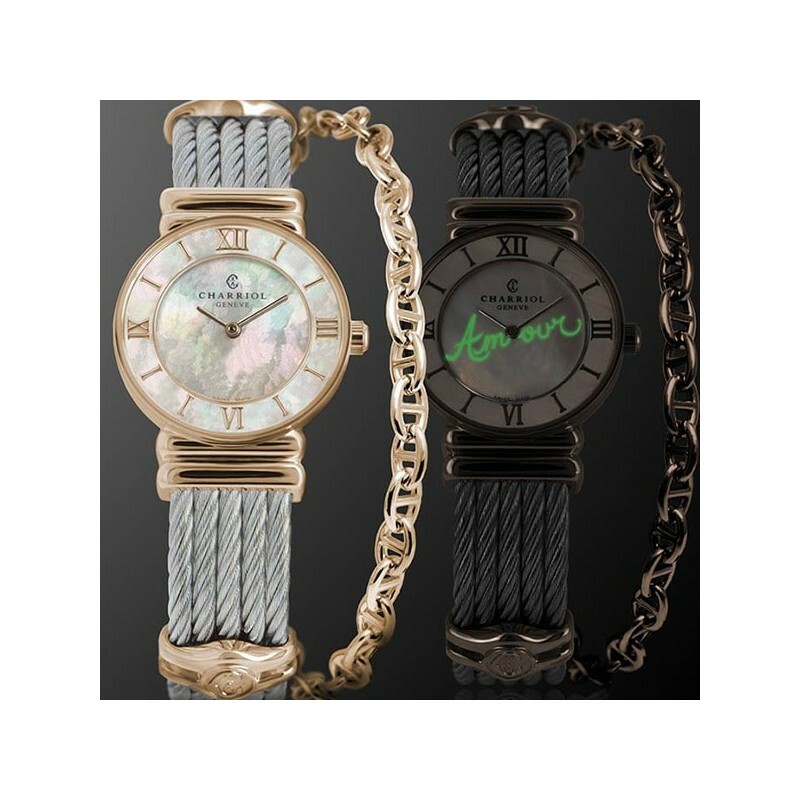 This exciting new edition features a secret message of amour in SuperLuminova script, which can only be seen when the lights go off. 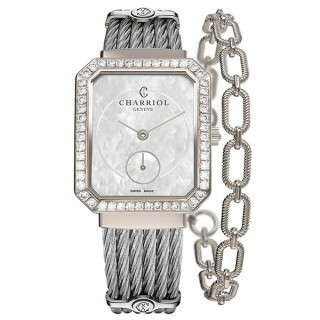 By day, however, this timepiece has all the hallmarks of our ever-popular line. 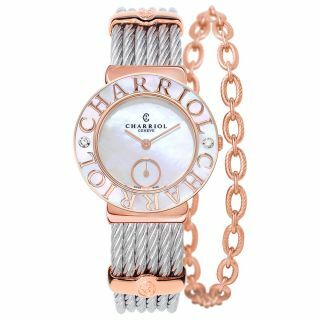 Full of style and sophistication, it is crafted in rose gold plating and stainless steel, with a white mother-of-pearl dial and bezel. 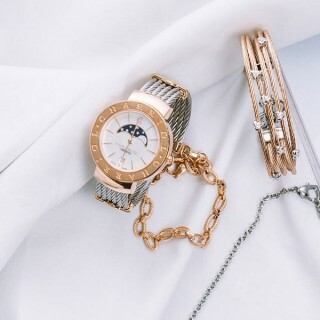 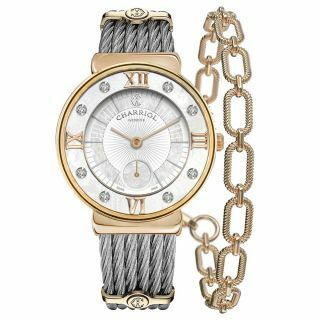 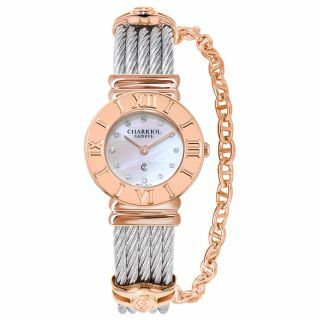 Delightfully feminine, this pretty Swiss-made quartz timepiece also features our signature braided cable motif on the strap, alongside an additional chain bracelet to add a unique jewelry accent to the design. 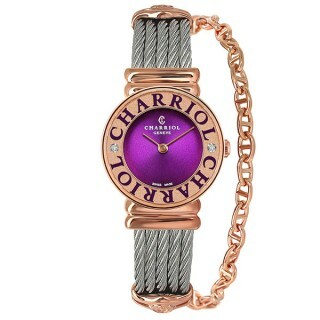 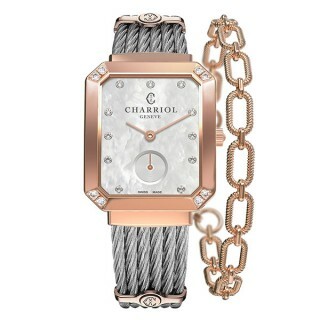 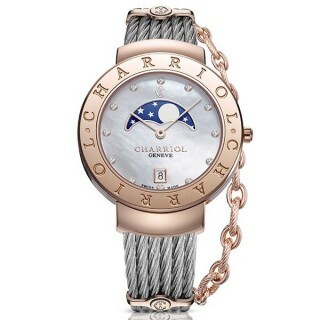 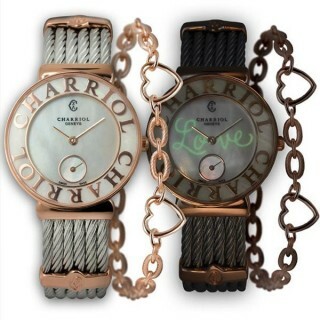 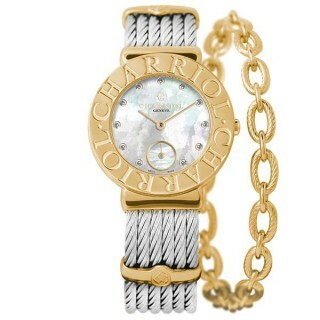 A quintessential ladies' watch, epitomizing Charriol’s artistry and glamour. The size can be adjusted to find the perfect fit and the strap features a hypoallergenic finish.